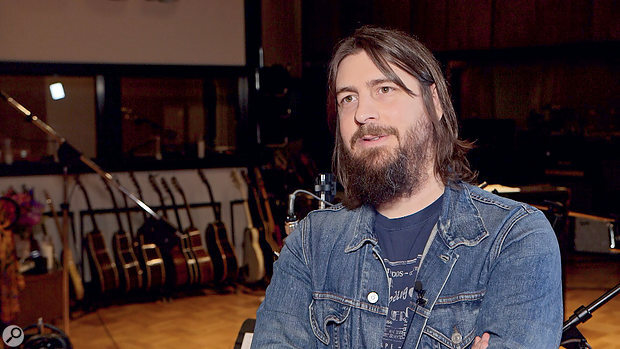 It's the early '90s, and a young Dave Cobb is staring intently at an old photograph of Elvis at work in RCA studios. He concludes that Mr Presley is singing into a single RCA 77DX ribbon mic, and his backing singers, the Jordinaires, are grouped around just the one RCA 44. DJ Fontana's drums have a 77 overhead and likely one mic on the kick, there's yet another 77 in front of Scotty Moore's guitar amp, and there's probably a single mic on Bill Black's bass. Six mics. And yet everyone around Dave at the time was talking about the desirability of multiple mic setups. "Six mics, that was the whole thing!" he says today, sitting a short stroll away from the spot where that picture was taken over 60 years ago. "And those '50s Elvis records sound massive. I couldn't Figure out why for the longest time. How did they do that?" Eventually, he discovered how the engineers took advantage of the mics' polar patterns. "The way Elvis was angled from the drums meant his 77 nulled the drums out, and the Jordinaires' mic was slightly angled from him, to null out Elvis and the drums. I was starting to put the pieces together and understand microphones." Back then, Dave pored over as many classic studio pictures as he could find, and almost all of them revealed working methods that were so much simpler than the complex setups fashionable in the '90s. "I think recording was overly complicated in my head," Dave says, "because when you talked to people or read about recording at the time, it really was made overly complicated. Today, though, at this point in my life, if I mic a drum kit myself, it's going to be probably three mics: a kick, snare and overhead. When I have a great drummer who knows how to hit, I'll get a bigger sound out of that than 15 mics on a kit." Photos of classic recording sessions have inspired many of Dave Cobb's own ideas.Dave's preoccupations with simplicity and with the sound and vitality of real musicians in a room have led him to a sparkling career as a producer. 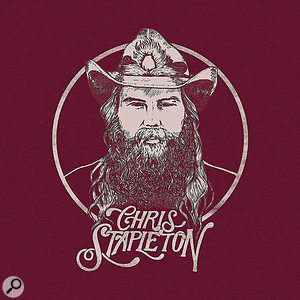 He has four Grammys up on the shelf, for Best Country Album with Chris Stapleton's Traveller (2015) and From A Room Vol. 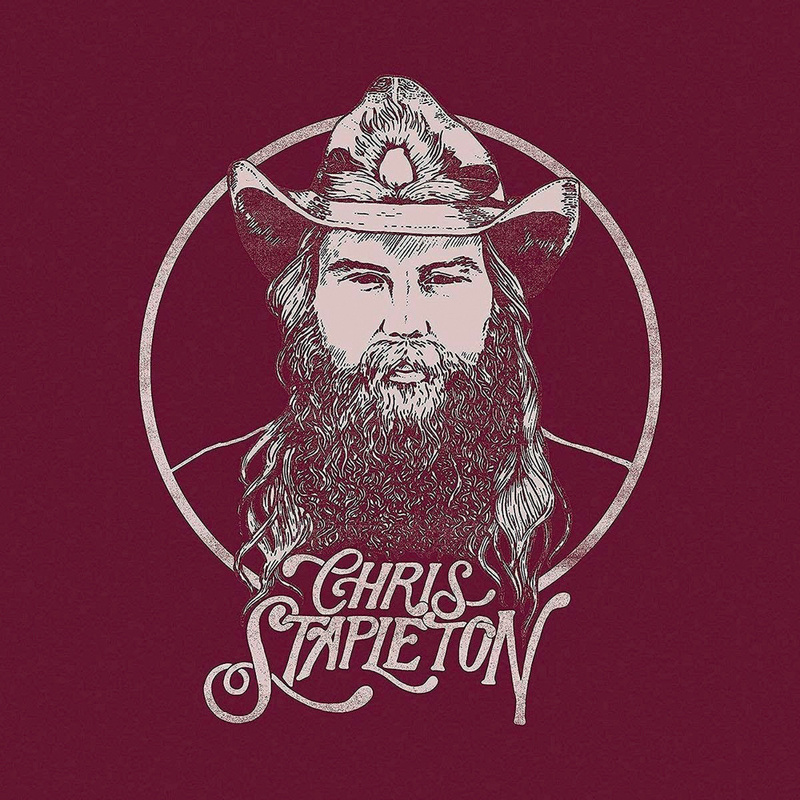 1 (2017), and for Best Americana Album with Jason Isbell's Something More Than Free (2015) and The Nashville Sound (2017). He's cut records with artists ranging from the Oak Ridge Boys to Rival Sons, from John Prine to Mary Chapin Carpenter. And these days, the base for his Low Country Sound is the renowned RCA Studio A, where he moved in 2016 from his small studio in South East Nashville. The historic Studio A building on Music Row, with its spectacular 75-by-45-foot main room, was designed by RCA's architect John E Volkmann and built in 1964-65 by a team led by Chet Atkins, right next door to the existing and already famous RCA studio (soon renamed Studio B). "Studio A is one of those old places from a time when the industry spent money when they had it," Dave says, surveying the main room through the control-room glass. He seems as if he still can't quite believe it's his workspace. 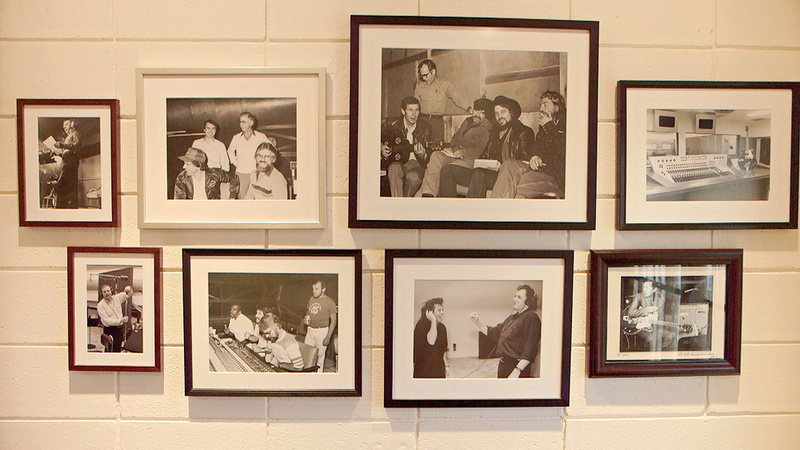 "Elvis recorded here, Dolly Parton did 'I Will Always Love You' and 'Jolene' here, Eddy Arnold did 'Make The World Go Away' here, all this incredible talent — early Waylon Jennings, Jerry Reed, the Monkees — it's unbelievable who's been here through the years. It's a big old historic studio space, that's for sure. And I was fortunate enough to be able to move into the place and take over the lease for a while." The magnificent live room at the former RCA Studio A was designed for tracking bands, singers and orchestras all at the same time. 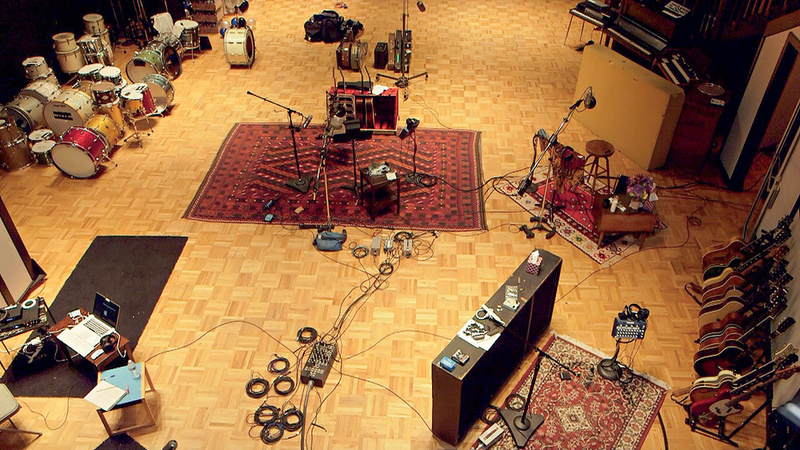 This photo shows it set up for a session with Chris Stapleton. The future of the building had been threatened by developers in 2014, but the Nashville community pulled together to save it. Ben Folds was producer-in-residence at Studio A at the time, and was among those spearheading the campaign. "When Ben moved out, I got a call from a friend of mine who owns the building now about doing something with it, and he leased it to me," Dave recalls. 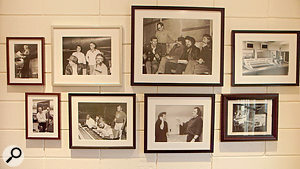 Studio A was built at a time when RCA would record an entire orchestra, choir, band and singer, all in the one big main room. "And it's sonically built to do that," Dave says, "so you can have a drum set next to a singer, and the bleed is minimal. I don't know how it does that: definitely some old '60s math that we haven't figured out how to redo. It's like how they built the pyramids and we haven't been able to build them again."